The deceptively named Physicians Committee for Responsible Medicine (PCRM) is at it again, making ludicrous claims on the airwaves of Washington, DC. Of course, with PCRM being little more than an organization dedicated to making a PETA-like agenda seem legitimate, this “committee” of “physicians” has a funny definition of “responsible” and “medicine.” Before we dive in to the details, just consider that the organization has received hundreds of thousands of dollars from PETA and PCRM has been condemned by the American Medical Association—a legitimate organization of physicians. 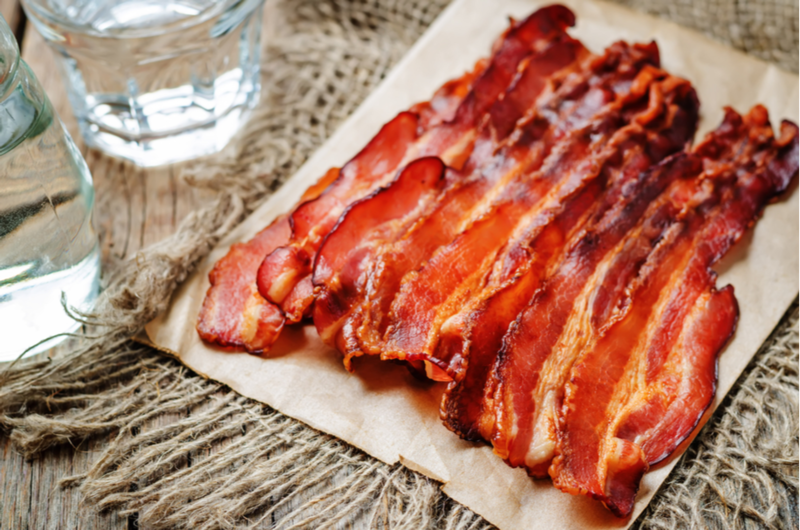 The latest in PCRM’s vegan propaganda is that bacon—that delicious and widely beloved component of countless hearty breakfasts—causes colorectal cancer. Just where does PCRM find its source for such a claim? On the PCRM-run site “Break Up With Bacon,” PCRM cites the World Health Organization (WHO) as a source for the organization’s bacon smear campaign. Indeed, the WHO’s International Agency of Research on Cancer does state that processed meat is a “Group 1 carcinogen”—but the same group includes wood dust, painting, and sunshine. Experts have criticized the WHO’s data, but let’s put that aside for a moment. The real question is what is the relative risk of eating bacon versus not eating bacon? No sensible person would claim that eating bacon is as likely to cause cancer as smoking. According to the New York Times, smoking “raises a person’s lifetime risk of developing lung cancer by a staggering 2,500 percent.” Consuming bacon on the other hand—according to the WHO’s standards—translates to less than a one percent increase in the lifetime risk for colorectal cancer. That also means cutting bacon from your diet likely won’t have a huge impact on your cancer risk. It’s worth noting that the WHO has analyzed more than 1,000 potential carcinogens since 1971 and claimed that only one (caprolactam—used in nylon manufacturing) is “probably not” carcinogenic. PCRM is supported by PETA and the organization’s goal is to promote a vegan lifestyle and scare people away from eating meat. PCRM president Neal Barnard has compared cheese to crack cocaine and has said giving kids chocolate milk “is a form of child abuse.” PCRM’s misleading campaign against bacon is the latest in a long-running campaign to deceive the public and restrict consumer choice. For all of its vegan fundamentalism, there is one animal product PCRM will traffick in: Bovine excrement.